Cannabis retailers, are you ready to make history? This year, Canada will become the first country to legalize recreational cannabis federally, and the atmosphere throughout the industry is buzzing with excitement. 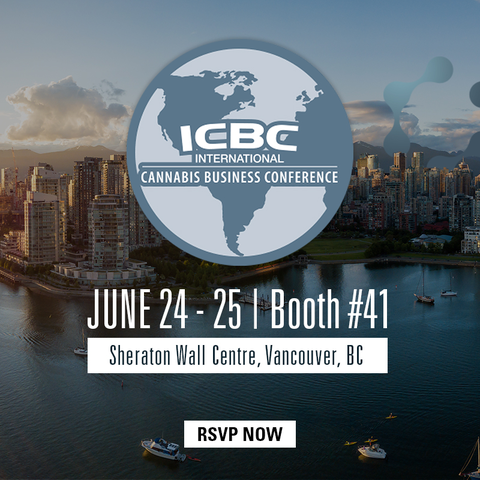 Cova, a proud Canadian company, is excited to be part of the green movement and is thrilled to join the International Cannabis Business Conference (ICBC) in Vancouver on June 24 & 25 to share our retail expertise. Join the Call it Cannabis Movement! At Cova, we're eager to do our part to rid the industry of any lingering negative stigma. We invite you to join the Call it Cannabis movement which focuses on promoting mindful terminology as opposed to slang. Learn more. Book a meeting at ICBC to get your free Call it Cannabis t-shirt and chat with us to learn how Cova POS is tailor-made for cannabis retailers and is built on technology that powers over 20,000 retail stores. As the self-proclaimed capital of Canada's cannabis scene, Vancouver couldn't be more perfect venue for this event. We hope you'll join us there!